The power supply unit AN420 is used to supply measuring current transformers of the W…AB series. The CTs are to be supplied with a symmetrical supply voltage of DC ± 12 V using a pre-fabricated connecting cable of the WXS… series. 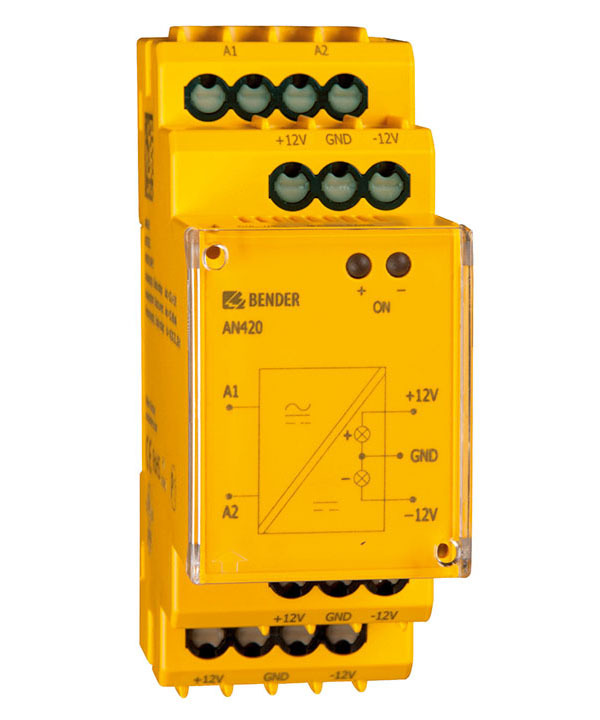 The power supply unit is capable of supplying up to six W…AB series measuring current transformers. The ON LEDs +12 V, -12 V indicate that the symmetrical output voltage of ± 12 V is applied.